The Scottish Environment Protection Agency (Sepa) is investigating after thousands of young salmon became trapped in the gates of two hydro dams in the Highlands. About 8,500 salmon smolts had to be removed from the intake gate slots at Scottish and Southern Energy’s (SSE) Aigas and Kilmorack power stations on the River Beauly. SSE used a spyball camera following this removal and identified a small number of dead smolts as a result of the incident, which happened in late May. An SSE spokeswoman said they worked with Sepa, the Ness and Beauly Fisheries Trust, Ness District Salmon Fisheries Board (DSFB) and Cromarty Firth DSFB over five days to remove the smolts and release them into the lower river. Wendy Harpe, chairwoman of Beauly Angling Club, believes a dry Spring this year was a factor in lower water flows through the dams, suggesting the smolts were unable to easily pass through. She said that the main focus on how to preserve salmon stocks should be at sea but that issues with dams are making the situation worse, adding: “Salmon are under a lot of pressure, not just from climate change but changes in fishing practices and changes in predators. 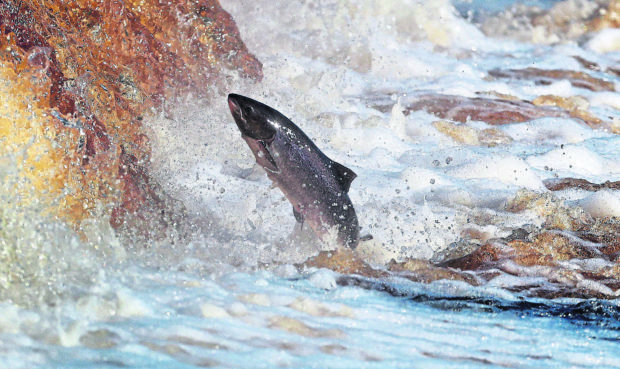 Chris Conroy, director of the Ness and Beauly Fisheries Trust, said a clear passage along freshwater rivers is essential to sustaining salmon numbers. Salmon spend between one and three years of their lives at sea before returning to freshwater in order to spawn. On the River Beauly, juveniles spend about two years in freshwater before they migrate to sea, completing the cycle. Mr Conroy said that current estimates suggest about 5% of salmon that leave the river are managing to return as adults.